We recognize the pressure hotel owners are under when it comes to running their properties. Occupancy fluctuations, keeping guest accommodation competitive and increasing energy costs are just some of the concerns facing the hospitality industry. For hotel owners and operators, fears of compromising guest comfort are often the greatest stumbling block when it comes to advancing energy management. The assumption that energy management solutions adversely impact guest comfort is largely unfounded. Reducing energy cost should not compromise your guests’ comfort. You can’t allow guest to find their rooms either too warm or too cold when they return to the comfort of the guest room. By completely switching off all in-room electricity, hoteliers will increase savings but can also compromise your guests’ comfort. 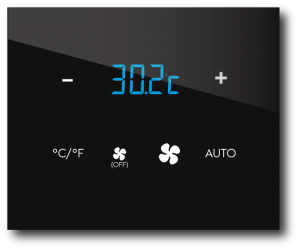 An intelligent Energy management Solution will take control of the room temperature when the room is not occupied; never allowing it to be either too warm or too cold according to the hotels preferences. As soon as the guest returns to their room, the system automatically returns to the guest temperature and lighting settings. Having interfaced zEMS with the Property Management System, zEMS know from the check-in/out status whether a person in the room is a guest or hotel staff. 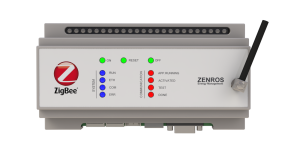 If the guest room is checked-in but unoccupied, zEMS allows the guest room temperature range to be colder or warmer than when the room is occupied as well as turning off any lighting. Immediately when zEMS recognize guest presence from the contact sensor or/and the motion sensor, the guest settings for temperature and lighting are restored.